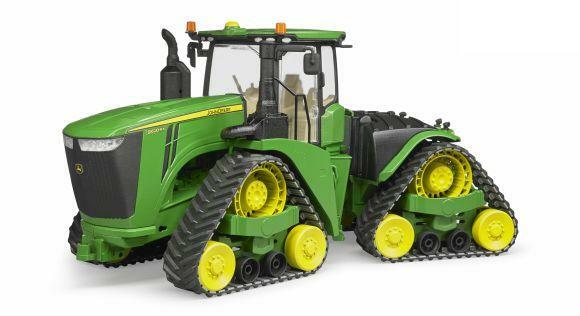 The model of the Deutz-Fahr Agrotron TTV 630, the latest addition to the series of Deutz-Fahr models, will delight agricultural enthusiasts looking for strength in the detail on a scale of 1:32. The original vehicle, with its 6-cylinder turbo diesel engine producing no less than 224 hp (164 kW), has expanded the power output range of the series. Besides a Deutz common rail injection system, the modern unit with four-valve technology has an external exhaust gas recirculation system which reduces fuel consumption and pollutant emissions considerably by recirculating cooled exhaust gases to the combustion chamber of the cylinders. Naturally, the new Agrotron TTV 630 is also designed to run on biodiesel.